It’s often the case in the world of high school sports that many of the same teams win a lot of championships. Obviously this isn’t true in every sport or tournament, but the nature of high school sports creates a lot of traditional powers. 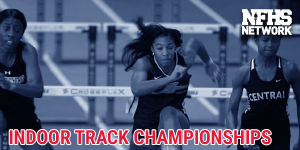 However in Connecticut over the past decade, the CIAC Indoor Track & Field Girls State Open has proved to be the exception. Beginning with Weaver’s title at the 2009 Open, 10 different teams have won the last 10 State Open crowns on the girls side. This is an unprecedented run (pardon the pun) of parity, as no other CIAC Tournament has had 10 different teams earn titles over the past decade. The closest to matching the Girls State Open track record is Class M girls basketball, which has seen nine schools win titles in the last 10 tournaments. However no other sport has come close to approaching that level of variance during this time. Saturday’s State Open will be the 31st for the girls. In the first 20, nine different teams claimed titles, and now for the last 10 we have seen a stretch with not one repeat winner. For comparison on the boys side, five different schools have earned the State Open crown over the past 10 years. This is all to say it’s likely just a statistical aberration rather than any tangible trend — but it’s one that’s worth exploring because of it’s rarity. So let’s take a dive into some of the numbers and trends from the last 10 State Opens. Now that we’ve established some of the general trends, here’s a quick year-by-year breakdown of each championship from the past 10 years. 2018: It was undoubtedly the best indoor track season in Greenwich history as the Cardinals captured their first divisional title in Class LL, and then followed it up with the first State Open title. The team earned a comfortable 24 point win, highlighted buy three top-2 relay finishes, along with a pair of victories in the long sprints. It also earned eight key points with a runner-up pole vault performance. 2017: Somewhat surprisingly, despite a history as one of the most dominant track programs in Connecticut, Bloomfield had never earned an Indoor State Open title until this year. The team has dominated the Class S meet, with 18 total indoor state titles after its championship last weekend, but captured the first State Open in this meet. It did so in dominant fashion, claiming wins in three of the sprints and two of the relays, along with 16 points in the long jump. 2016: By the narrowest margin over theses last 10 meets, Windsor held off Bloomfield for its first State Open. The Warriors came off a Class L title to capture the win in a meet that included some controversy regarding a newly implemented rule. Windsor did just enough in the final event, playing fourth in the 4×400 relay — one place behind runner-up Bloomfield to hold on for the win. 2015: Another first-time State Open winner as Tolland followed up its win in Class M with a first Open title. This win was part of an impressive year-long run in which the team captured the State Open in girls cross country, and both indoor and outdoor track. In this meet the team pulled out a narrow two-point win thanks to strong efforts in the relays in which it claimed at least six points in three of four relays, and had 10 points in the 3,200. They also added a few critical points in the long jump. 2014: Wilbur Cross becomes one of two State Open winners during this stretch to capture the Open after not winning a Divisional meet. The team finished as runners-up in Class L, but put it all together at the Open to earn a win by a slim 2.67 margin. They clinched the win by capturing the final event (the 4×400) and also had won the 55-meter, the sprint medley relay, and had a first place finish in a legendary 1,600 that saw the state record book shattered. Hear the Wilbur Cross coach discuss the win on the CIACcast podcast. 2013: Darien captured a win in Class L and then bested the field in the Open for the first time in program history. Probably more than any other team during this stretch, the Blue Wave rode strong efforts in the four field events to earn the crown. The team claimed a win in the long jump, had 10.33 points in the pole vault, and got a second-place finish in the high jump. The team also had a deep group of sprinters that helped earn one relay win. 2012: The team with the second-most overall girls Open titles, Hillhouse, claimed the only one in the last 10 years with a strong all-around performance. Its 74 total points were mark the second-highest during this stretch, as does its 34-point margin over second place. The team earned points in all but two track events, had four total wins on the track (three individual, one relay), and added points in the long jump and shot putt. 2011: Glastonbury is another consistently strong track program that saw its only Open title come during this 10-year stretch. The team has seven indoor track championships to its credit, but this remains the only Open crown. It earned the win without a single point from the field events, instead doing nearly all its damage in the mid-distance events with wins in the 1,000, 1,600 and a total of 24 points in the 3,200. 2010: Danbury is another program that did not claim its first State Open during this run, instead the program’s 2010 victory was its second, having first claimed one in 2002. This time the Hatters followed a Class LL win with a strong 57-point effort. The sprints and relays were the key component with the team getting wins in the 55, 300 and 4×200 along with a runner-up effort in the 4×800. It also added a second-place finish in the long jump. 2009: The team that began this streak is actually the one with the most Open titles on its resume — Weaver High School. The team was the dominant track program of the 90’s and early 2000s, piling up seven Open titles and has seven indoor championships overall. But this was its last win in the Open, and like Wilbur Cross in 2014 came after the team finished as runners-up in the Divisional meets. It rebounded with a strong all-around performances, capturing 18 and 16 total points in the 55 and 300 respectively, and earning 16 points in the relays including a win. A runner-up effort in the shot putt gave the team its only points in the field events. That’s where we are now, heading into Saturday’s 2019 State Open. As stated above, there is nothing to suggest this is anything more than a random trend that has carried the past 10 years, and it could easily be snapped this year. In fact, each of the four Divisional Champions from this past weekend have earned titles during this period, so an extension of this streak will require some team to become the third to capture an Open title without having won in the Divisional meets. Regardless of whether the streak extends beyond this 10-year stretch, it has been a memorable decade of championship performances, and a welcome reminder that the unpredictable can happen and is part of what makes high school sports fun.